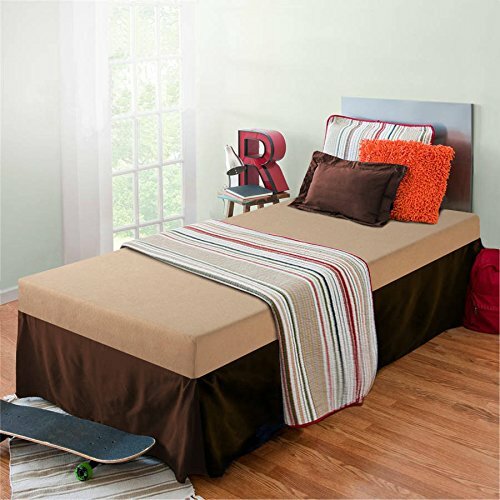 The 5 Inch Memory Foam Mattress will work with most daybeds, trundle beds, and bunk beds, providing conforming comfort with a memory foam layer that molds to the natural shape of your body. The full support high density foam base layer provides long lasting durability and stability. Pink and blue terry cover versions include a moisture barrier. Smartly Shipped - Our patented technology allows our mattresses to be efficiently compressed, rolled and shipped in a box conveniently to your door. Please open your mattress package within 72 hours of receipt and allow 48 hours for your new mattress to return to its original, plush shape. Worry free 10 year limited warranty. Another comfort innovation from Zinus. Pioneering comfort.